My greatest masterpiece yet in Microsoft Paint on a Wikipedia commons photo canvas. Click the photo to find out more. When I wrote that I was tired of being poor and was going back to work to drive luxury cars and live in a 12 foot ceiling apartment, I recognized a huge market need out there existed that was not being fulfilled. That April Fool’s Day post received the most traffic in Millennial Moola history. Screw learning how to save millions of dollars on a five figure salary, payoff giant student loan debt, retire in six years, or pay a fair price for a ripoff like most financial advice, give me funny photos and make silly comments about them dang it! How did Wealthy Walnut Happen? I got bored one day while my girlfriend was working on some incredibly meaningful medical research paper at Penn and I got my fill of playing Axis and Allies for free on my laptop, so I decided to start the Wealthy Walnut. I chose this name only because Wealthy Walrus was already taken by somebody. How dare they. Apparently, if you have a certain account setup with Bluehost , my hosting company where anyone can set up a website using a free WordPress theme in 15 minutes for about $35-$50 a year, you can create unlimited add on websites to your primary account. It only costs me $12 to buy the domain name. For the same cost as an overpriced restaurant, you too can create silly websites like Wealthy Walnut for no reason at all! To be honest, probably nothing. I had all these ideas about funny (at least to me) Onion-esque articles. However, I feel like Millennial Moola is not the place to put them. I generally try to be very careful not to add too many affiliate links or any advertising on Millennial Moola, but Wealthy Walnut is a bloodthirsty capitalist and might shamelessly sell his soul for cash and cheap laughs. Additionally, I want Millennial Moola to be fun and informative, but I’d prefer if it wasn’t a total joke. I want you to walk away from each article having learned something. I would love for you to become wealthy over the years by making Millennial Moola part of your morning 20 internet tab routine at work. 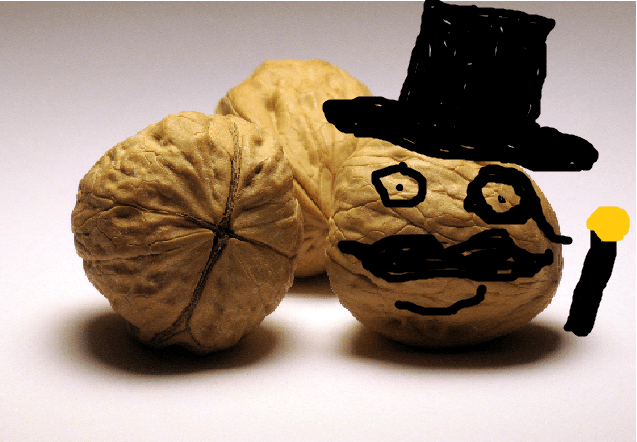 I want Wealthy Walnut to just basely entertain you. I won’t publish nearly as frequently, or put in nearly as much effort, but I will seek to irreverently, inaccurately, and ruthlessly espouse the crazy opinions of this deranged nut to crack you up and make you rich. You can check out Wealthy Walnut here at wealthywalnut.com. I fully expect someone to offer me millions of dollars one day to buy this domain. Until then, expect some stupid and ridiculous articles that hopefully make your day more entertaining. Please stop by Facebook and like my newly created Wealthy Walnut Facebook page. He’s very lonely. Please stop by and check out my latest article on Wealthy Walnut, Kevin Durant “Can’t Wait to Pay California Taxes.” Hopefully you’ll be glad you did. Thanks for being loyal Millennial Moola readers. Love getting reader suggestions and feedback at [email protected]. REALLY love getting comments and replying to them on the website. Thanks for giving me the privilege of making it to my one year early retirement and blogging anniversary. You all keep me going. I LOVE THIS IDEA! Can’t wait to check out the wealthy walnut! Cool Travis! There’s nothing more fulfilling (to me anyway) than thinking up something and then bringing it to life, you know, like in Frankenstein… but in a much less creepy way. Anyway, looking forward to following along on the new adventure. I read the Kevin Durant post on Wealthy Walnut and it is really humorous! I think it could be a terrific niche in personal finance – sarcastic/farcical PF. Ha thanks little house ! Haha- We are excited to follow along! Especially since your 2nd post is about KD, who personally offended me by leaving exactly 5 seconds before we moved to oklahoma. Hope you keep it up!